Manama, Oct. 10 (BNA): HH Shaikh Khalid bin Hamad Al Khalifa, First Deputy President of the Supreme Council for Youth and Sports, Honourary President of Bahrain Mixed Martial Arts Federation (BMMAF) received the official parties, partners, sponsors, and the High Organising Committee of BRAVE International Combat Week at Al-Wadi Palace. The event is scheduled for November 11-18 at the Khalifa Sports City Hall, it includes the 5th edition of the IMMAF World Championships, and the 18th edition of the BRAVE Championship. 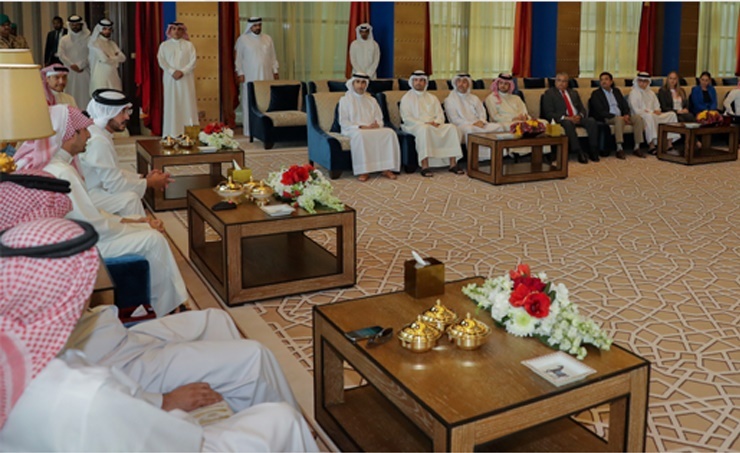 HH Shaikh Khalid bin Hamad Al Khalifa welcomed the audience and conveyed HM King Hamad bin Isa Al Khalifa’s greeting and wishes of success. 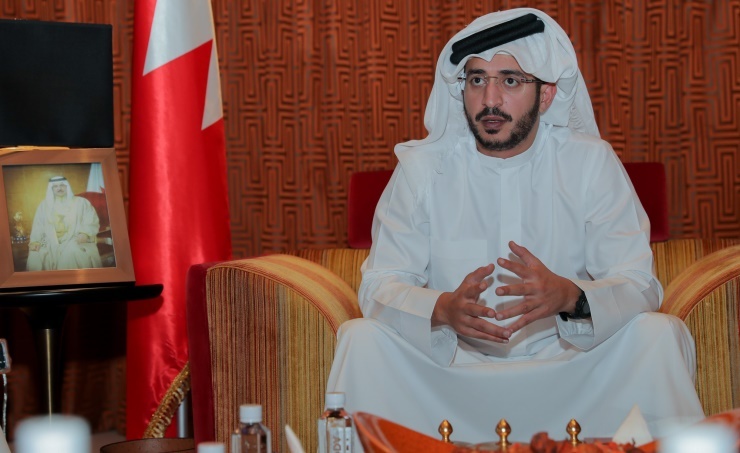 "Our efforts to support the Kingdom of Bahrain's global position in various fields are ongoing, especially in the sports arena, aiming to turn Bahrain into a main destination for international events and championships," HH said. "Last year we dazzled through the success and excellence of BRAVE International Combat Week, which witnessed the 4th edition of the IMMAF World Championships. This was the first international championship to be held in an Arab country in Asia, earning us the confidence of the International Mixed Martial Arts Federation to host the 5th and 6th editions." HH added, "Our success is the result of all your efforts, your sponsorship and your continued contribution to supporting our initiatives. Today we face a new task in hosting and organising the 5th edition of the IMMAF World Championships and the 18th edition of the BRAVE Championship. This is an opportunity for all to participate in renewed success for our precious Kingdom." 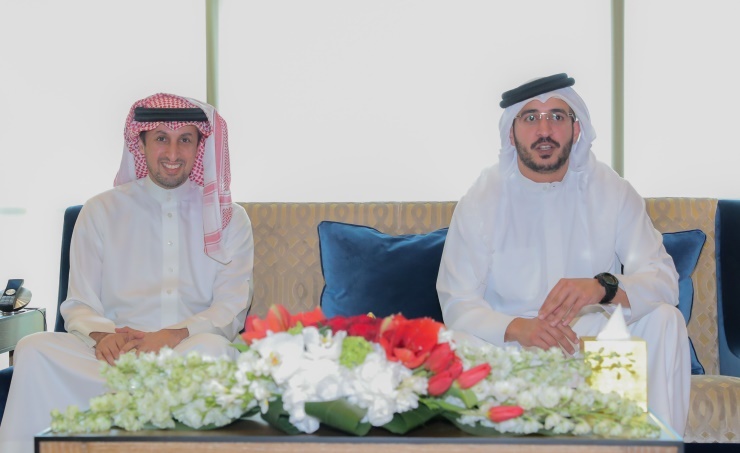 HH continued, "We are proud of your ongoing partnership and contribution, stemming from your nationalism, responsibility towards Bahraini society and your keenness to meet our invitation to achieve the highest levels of success and excellence in this world sporting event, so that Bahrain may always be in the forefront."